There’s a lot of different theories and practices when it comes to introducing your new baby to your cat. Parenting sites will have a different approach than a pet site like us. The best advice I can give you is to read as many articles and research as much information as you can, and then do what feels right for you and your family. Here are a few ideas to help you with make the transition into life with your new bundle of joy smooth for everyone. Before your baby is born, make sure your cat or cats have been to the vet for a full check up, and make sure all vaccinations are up-to-date. 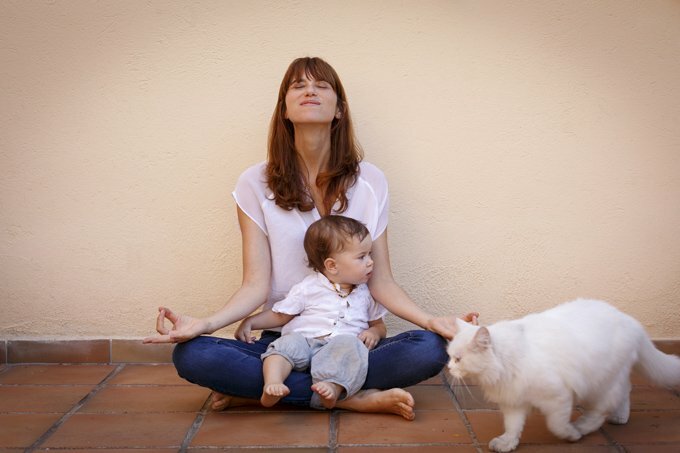 Take a look at the relationship you have with your cat. 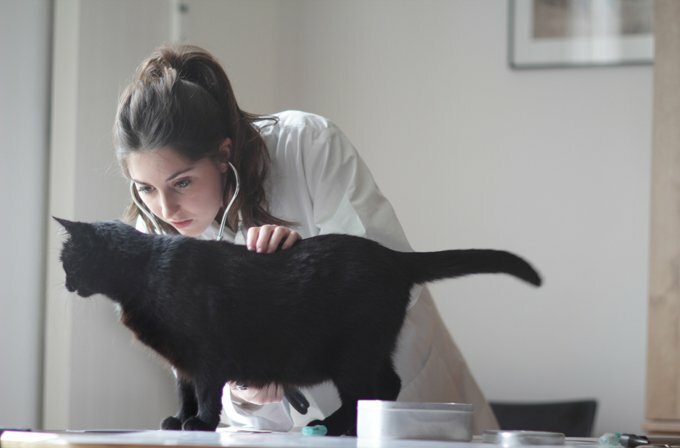 If you are the expectant mother and also the main caretaker of your cat, you may want encourage your partner to take a more active role in caring for your cat. You’ll want to help encourage their bond to grow so that your cat won’t feel snubbed when you start spending more time with your new baby. If you have any friends or family members with small children, invite them over! 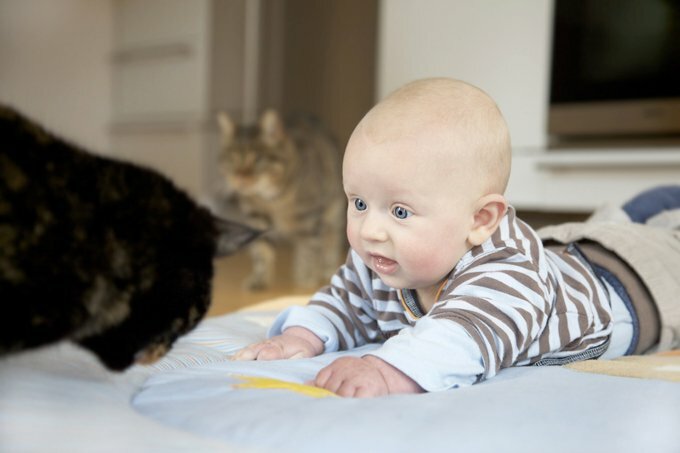 This will give you a great opportunity to introduce your cat to the sights, sounds and smells of a baby or child. It will also help you to see what steps you might need to take to childproof your home and litter box. 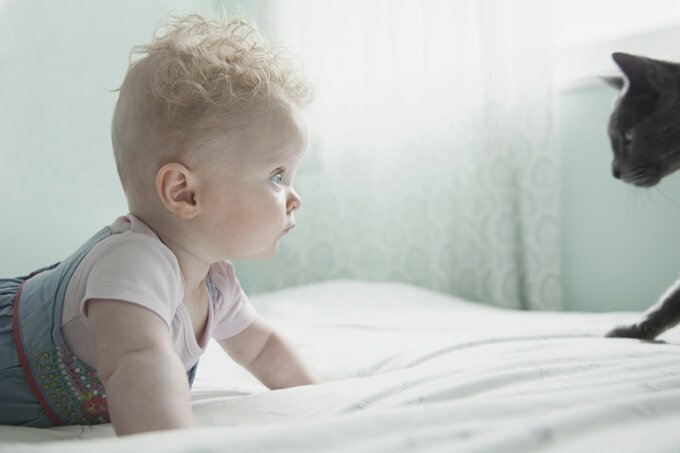 If your cat isn’t going to be allowed in your baby’s bedroom, you should start shutting the door now, before the baby arrives. If you’re going to close the bedroom door and take afternoon naps with your baby, start practicing that now. 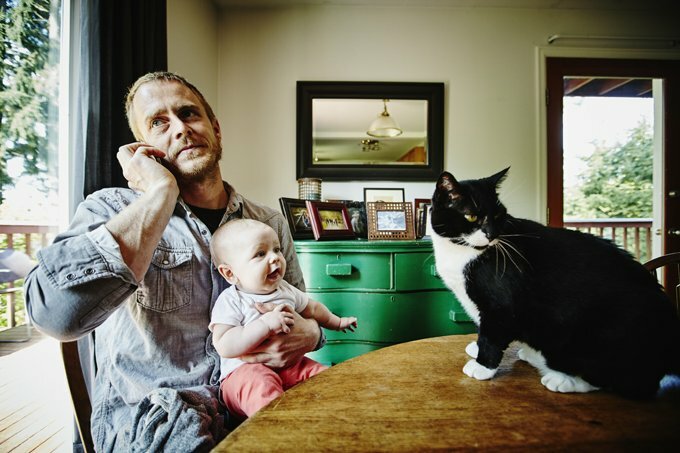 When you do finally bring your baby home, you’ll want to give your cat some time to meet your new baby. Find a comfortable place to sit and invite your cat over. Offer treats and rewards for good behavior. Make their initial meeting a mellow and positive one. These are just a few ideas. The Internet is full of many wonderful ideas to help your family adjust to the new arrival. Give everyone lots of love and get rest when you can. It’ll all work out just fine.